FootJoy’s new performance spikeless shoe the Pro/SL is currently one of the most popular shoes on the worldwide professional Tours. Pro/SL combines a soft, comfortable, waterproof upper with a midsole/outsole unit that features three distinct layers for underfoot comfort, ultimate perimeter stability, and performance spikeless traction. What gives the Pro/SL a unique blend of comfort and spikeless Tourcalibre performance is a proprietary polymer outsole material called Fine- Tuned Foam (FTF). FTF is 10% lighter than conventional EVA foams providing enhanced cushioning and shock absorption for added comfort. FTF is the key material in a threelayered component that features unique characteristics and benefits within each layer. The top layer of FTF, which cradles the foot, is a softer durometer to provide the golfer with all day comfort. The lower/outer portion of FTF is firmer and delivers perimeter stability around the foot for maximum support throughout the swing. Finally, TPU traction elements are strategically placed within the FTF outsole material to provide the golfer with enhanced traction, lateral stability and more points of contact with the ground. On The TourMany players on Tour have chosen to wear Pro/SL. Adam Scott, Louis Oosthuizen, Kevin Na, Andrew “Beef” Johnston, BerndWiesberger, Lee Westwood, and around 50 other players on the PGA and European Tours have opted for the comfort and spikeless performance of Pro/SL. “I tested Pro/SL initially in the very dry, hard conditions of Chambers Bay then in the soft, wet conditions at St. Andrews and the traction was fantastic on both surfaces,” said Adam Scott. 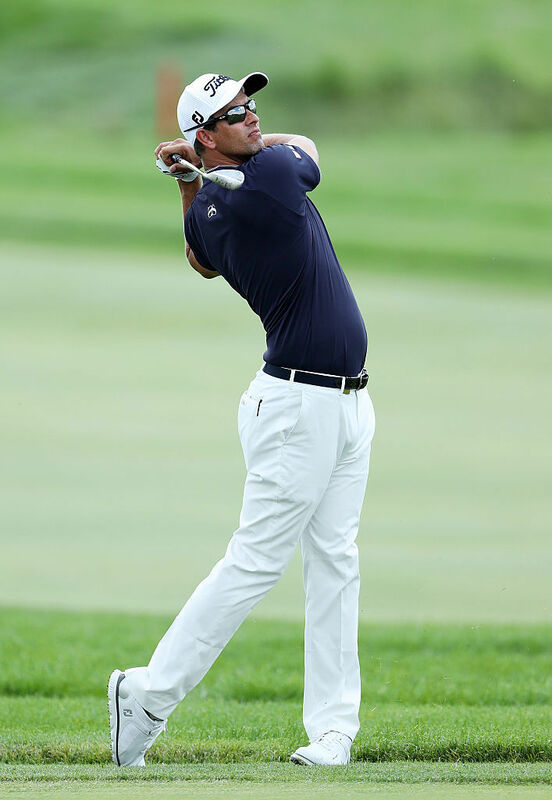 “I also felt like my feet had more surface contact with the ground and for a longer time during my swing, so competing in this shoe is a no-brainer. “The ultimate balance between lightweight benefit, outstanding traction performance and superior in-shoe comfort... this is what the Pro/SL is all about. It’s easy to understand why so many of the best players in the world have chosen to wear the Pro/SL as they compete at the highest level of the game. Great performance features matched with an equally great looking upper design.” added Timothy Yoong, FJ Regional Brand Manager. EXCEPTIONAL STABILITY A perimeter weighted outsole allows for extreme stability and added lightweight comfort. ChromoSkin leather, developed by Pittards of England, is a supple, lightweight, durable and 100% waterproof leather. A 3-piece outsole combining 2 blends of Fine Tuned Foam (FTF) for cushioning and stability, with a TPU molded sole for traction, creates an outsole that is perfect for on course performance with wear-to-the-course versatility.